Ojos de Brujo return with the third record in their career, which is an ambitious project that repeats their unique flamenco fusion and has required the cooperation of illustrators, comic strip and graffiti artists and photographers. NORMAL EDITION. It includes a CD-ROM as a bonus featuring the documentary "Mi Habana Sana" (12 min.) and the videos of the themes "Piedras contra Tanques", "Todo Tiende" and "Color". It also contains photographs from the recording of the record and the documentary, and the translation of the lyrics in fourteen different languages. 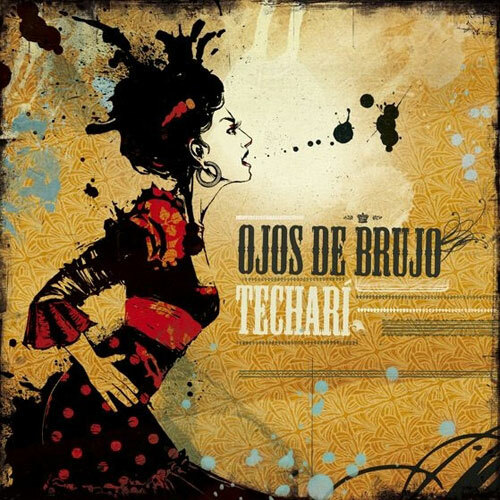 Ojos de Brujo return with the third album in their career, an ambitious project that once again involves their unique fusion of flamenco, which has required the cooperation of illustrators, comic book and graffiti artists and photographers. "TecharÃ" ('free' in CalÃ³, a gypsy language) is a work that has required several months' activity as well as the cooperation of many people from different artistic and musical disciplines, working towards a common goal: continuous experimenting with flamenco and the emotion drawn from things that are done with a boundless passion. This work has featured guest appearances by: the Senegalese group Daara J., Martirio, the Cuban pianist Roberto Carcasses, the flamenco guitarist Pepe Habichuela, RaÃºl RodrÃguez (of Son de la Frontera) and other artists such as Maxwell Wright and Nitin Sawney.